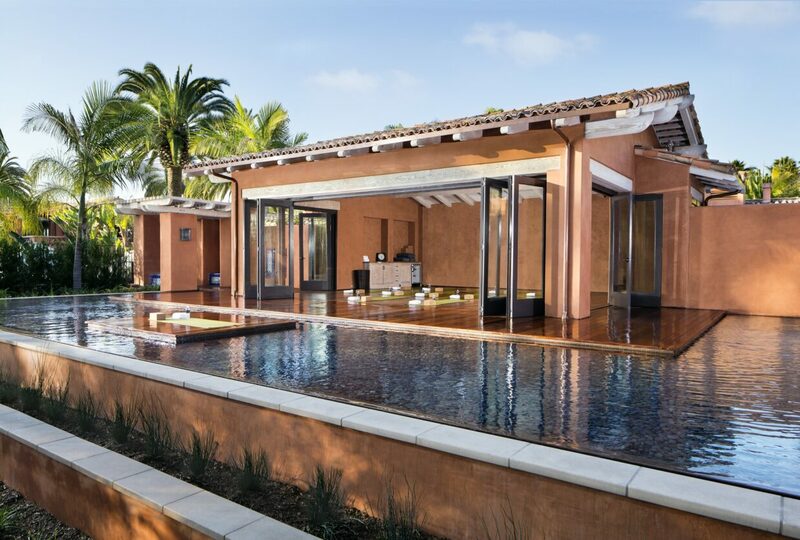 Nestled on 45 lush acres of rolling hills, verdant gardens, and beautiful olive trees, Rancho Valencia Resort & Spa is an award-winning hotel and natural sanctuary inspired by luxury. As the only Relais & Chateaux property in Southern California, it is one of the most sought-after five-star San Diego resorts. 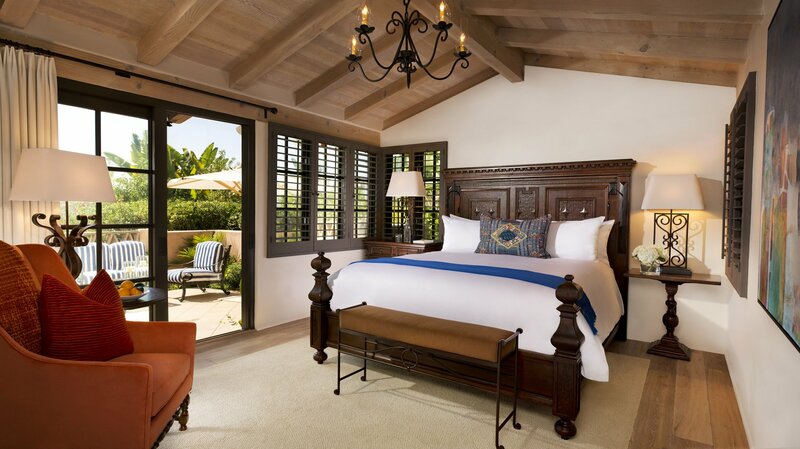 This all-suite property features lavish Mediterranean décor with Spanish influences. There are 49 opulently appointed guest casitas with private patios, a rejuvenating spa, and fitness center, two restaurants, and a variety of wedding venues and meeting rooms. 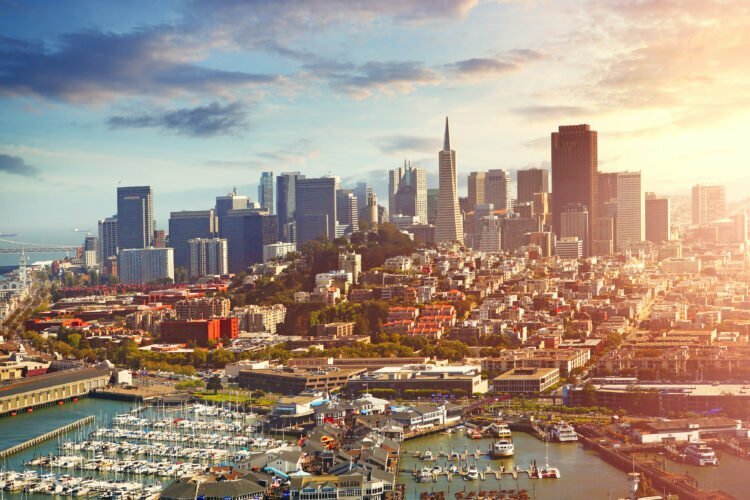 It has been featured in over a dozen publications and has received countless awards, including a prestigious AAA 5-Diamond Award for 2018. 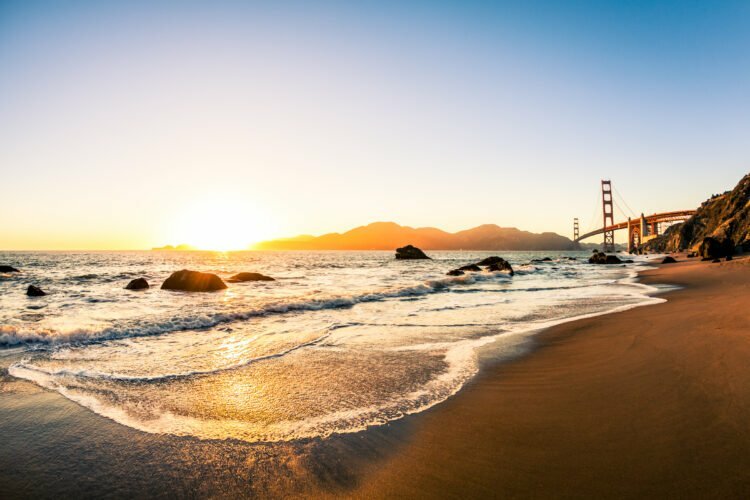 This is the ideal resort for families or anyone with a focus on wellness and outdoor recreation. Virtuoso amenities at Rancho Valencia include complimentary breakfast for two, a $100 resort credit, upgrade subject to availability and more. *If on a mobile device, scroll to the footer and click "Full Site" to access rates and online booking. 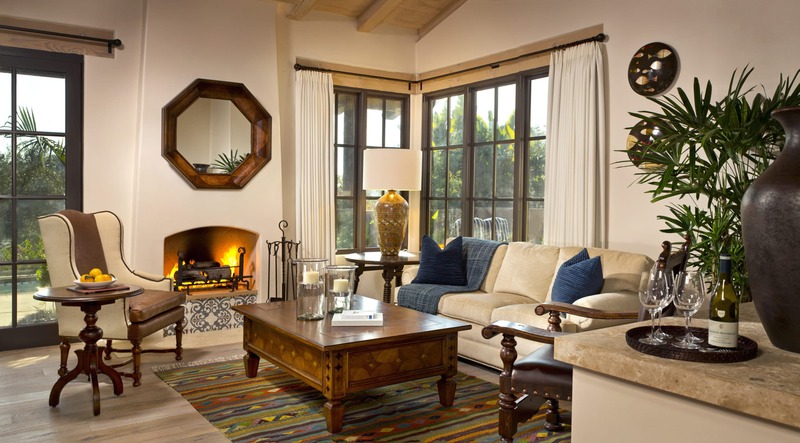 Enjoy all the amenities of home in these timeless Spanish hacienda-style casitas. They give you privacy, but more importantly, they give you comfort. 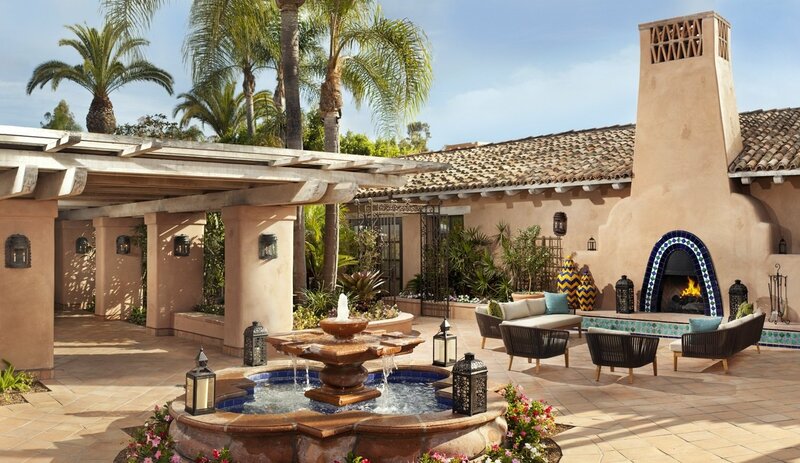 Surrounded by a classic Mediterranean ambiance of bubbling fountains and inviting courtyards, each of the 49 spacious casitas boasts custom rustic furnishings, dreamy lighting, and a private garden patio that overlooks the iconic olive groves and canyons of Rancho Santa Fe. 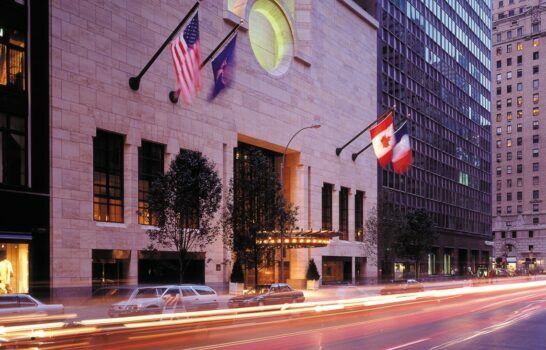 Accommodations are sophisticated and artful, yet understated and cozy. There are four styles of suites, the resort calls them casitas, for you to choose from: Agave, Olive Grove, Palm, and Valencia. 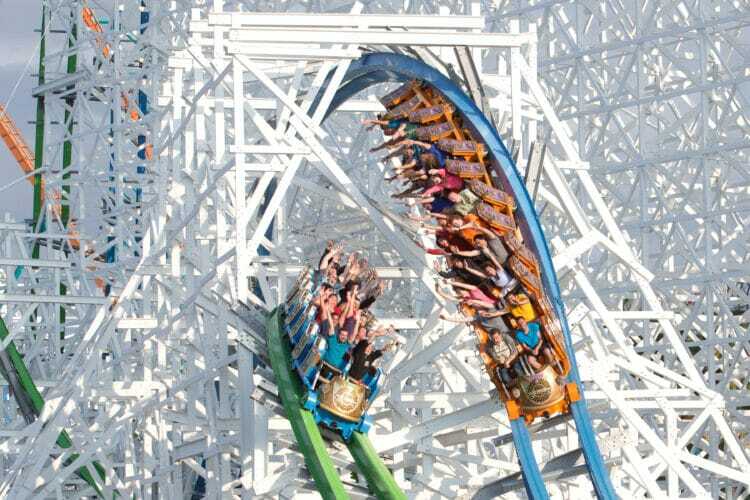 They are similar in design and décor, but they differ in size, layout, and number of amenities. Each has plush custom furnishings, down bedding, and 600-thread-count luxury linens. Modern amenities include HDTV flat-screen televisions, Bang & Olufsen stereos, Bose CD and iPod compatible sound systems, and IIIy Café Espresso Machines. They also have Frette terrycloth bathrobes and Natura Bisse bathroom products. 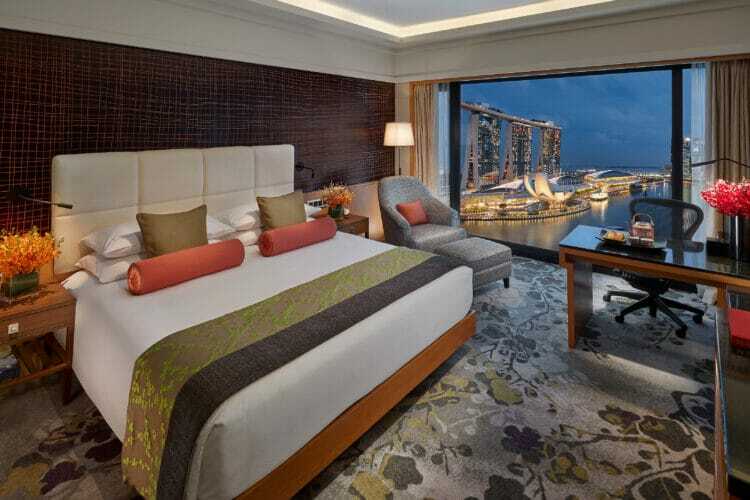 An in-room safe, free Wi-Fi and a complimentary mini-bar are also available in each suite. 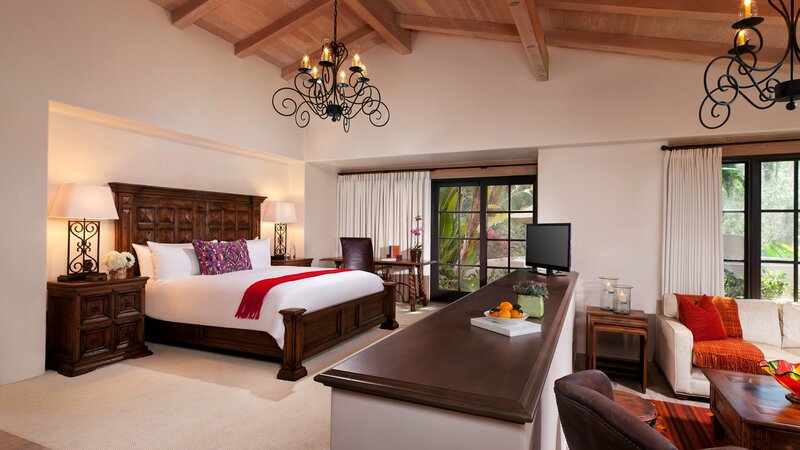 With 900 square feet of space, Agave Suites come with your choice of one Deluxe King or two Queen Beds. They feature a sunken living room with regionally inspired décor, a sleeper sofa, vaulted ceilings, and a fireplace. Bathrooms are equipped with a deep soaking tub and separate shower, vanity area, and walk-in closet. There is also a dining table in each suite. Featuring 1,000 square feet of space, Olive Grove Suites also give you the choice of one Deluxe King Bed or two Queen Beds with the same living room layout and dining table as the Agave suites. Bathrooms feature a steam shower, double vanity, heated Toto toilet, and walk-in closet. 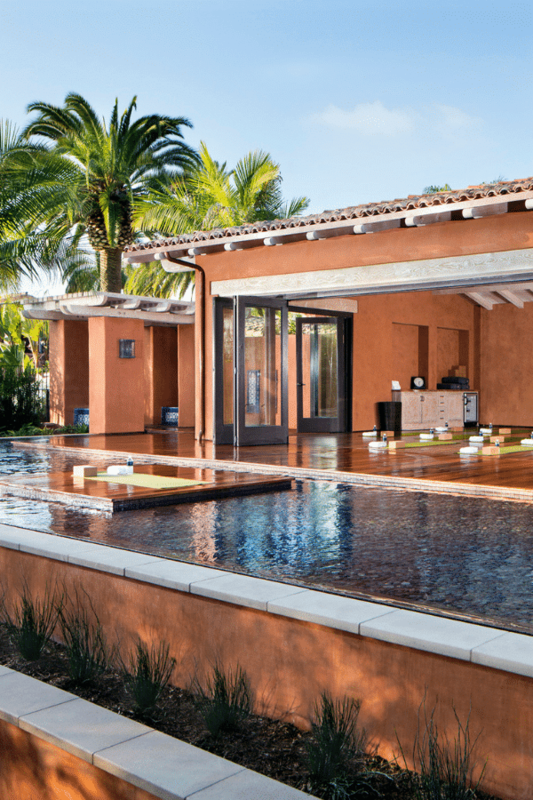 A whirlpool spa accentuates the private patio. Slightly larger, Palm Suites provide 1,200 square feet of living space. They are equipped with a master bedroom, separate dining/living room area with soaring ceilings and a fireplace. There is a pull-out sleeper sofa, wet bar with dining table, microwave, and an elegant bathroom. The bathroom has a walk-in closet, separate deep soaking tub, shower, double vanity, and Toto heated toilet seat. These suites also come with expansive wraparound garden patios. Valencia Suites are the largest, providing 1,300 square feet of space; they share all the same attributes of the Palm Suites. But unlike the patios of Palm Suites, Valencia suite patios are outfitted with outdoor whirlpool spas, and a select few even have fireplaces. All of these suites feature picturesque sweeping views of the olive groves. Luxury Villas at Rancho provide you with a perfect escape from the ordinary. With 3,500 square feet of indoor and outdoor living space, these are ideal for large groups and big families. They come with three master bedrooms, 3.5 bathrooms, a great room with a total entertainment system, and a fully equipped gourmet kitchen outfitted with Viking appliances. 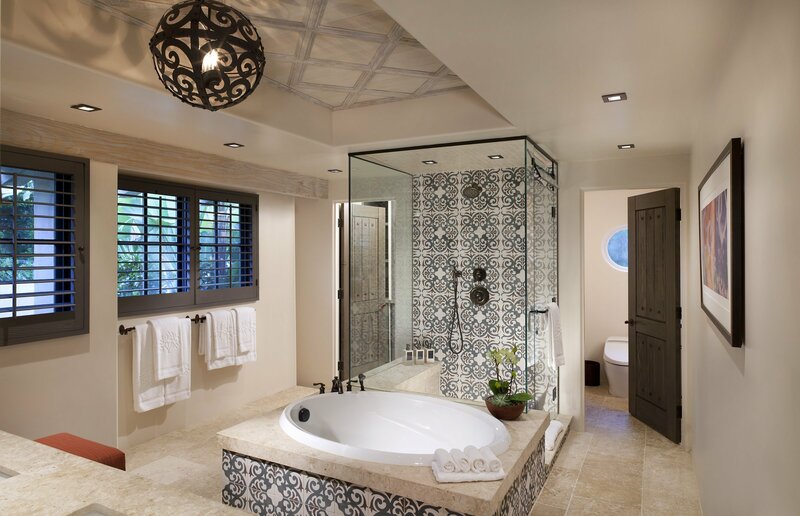 Hand-painted tiles, custom furnishings, and commissioned artwork create an elegant space that is warm and inviting. There are also several dining areas, a private outdoor terrace, a jetted outdoor Jacuzzi, and a grill. When you book one of the villas, you receive 24-hour room service, in-residence dining, and a private chef upon request. Villas also include use of the Owner’s Clubhouse with a private swimming pool and jetted outdoor hot tub. Special valet and bell staff services are also included, such as pre-arrival grocery shopping. The Private Hacienda Home is the preferred option for those hosting a small group retreat, an intimate honeymoon experience, or a multi-family getaway. This magnificent adobe style home features 5,000 square feet with a private outdoor pool and Jacuzzi, as well as five fireplaces. It also has a full kitchen equipped with upscale Viking appliances, a dining alcove, and an expansive living room overlooking a private patio. There are three King Bed suites in the home. Each has its own private entrance, wood-burning fireplace, garden patio, and a private deluxe bathroom. Outside, there is an outdoor dining cabana, fireplace, grill, and table for entertaining. 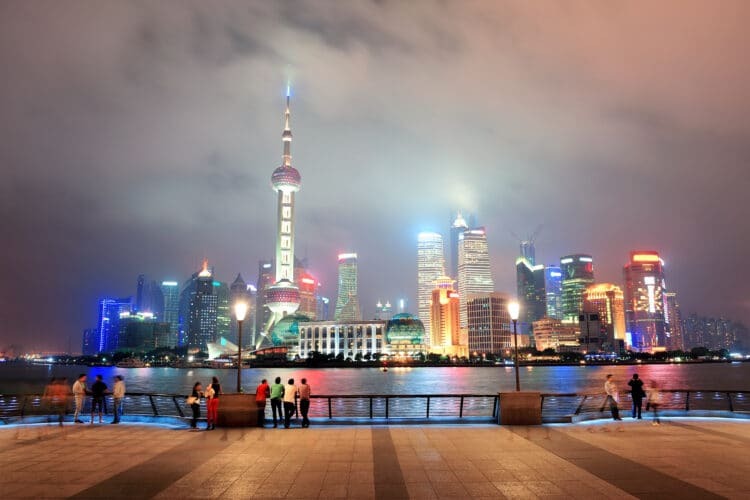 It’s all surrounded by gorgeous, meticulously manicured gardens alive with hibiscus plants and flowering bougainvillea. 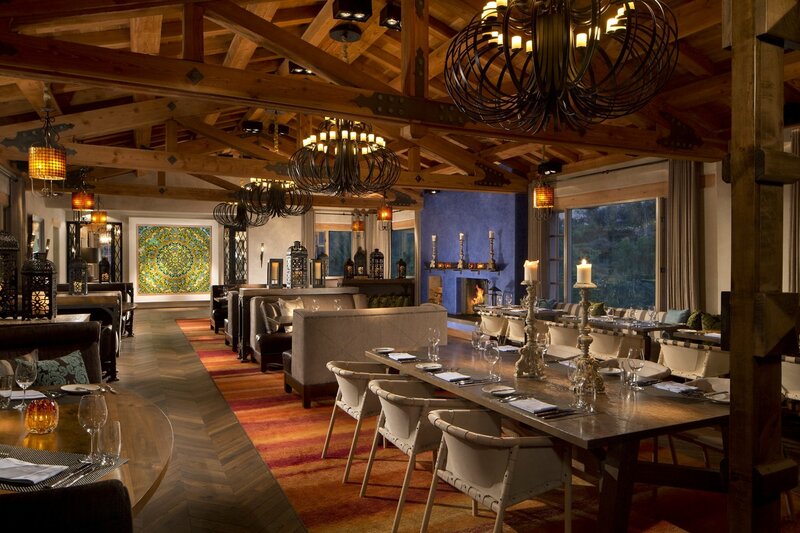 The hotel has two onsite restaurants, The Pony Room and Veladora. Both are managed by the resort’s Executive Chef and his skilled culinary team. The Executive Chef and the Chef De Cuisine work personally with some of the most notable farms in the country to source only the best elements for both restaurants. The beef is pasture-raised and grass-fed, the produce is fresh and seasonal, and the herbs are grown on-property. The more upscale option of the two, Veladora brings magnificent valley views together with Mediterranean cuisine in a dazzling, contemporary, candlelit, hacienda-style setting. Influenced by the hotel’s Mediterranean style, the restaurant serves fresh, handcrafted Coastal Ranch dishes for breakfast, lunch, and dinner. With ever-changing, seasonal menus, it’s unlikely that you’ll see the same dish twice between stays, but you’re sure to get the same mouthwatering experience every time. Tantalizing options like the Hudson Valley Duck Breast – pistachio crumbs, caramelized cherries, salsify mousse, mustard jus, and foie gras are what you should expect from Veladora. 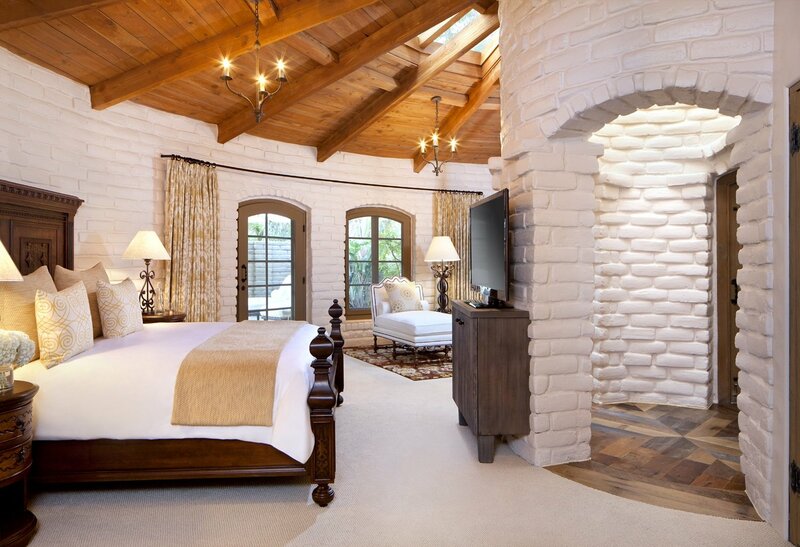 The Pony Room offers a casual elegance with its rustic décor boasting Old World furnishings, crackling fireplaces, and oversized windows overlooking the lush grounds. A true farm-to-table experience, the American-style dishes are often presented on uniquely designed wares like boards made from reclaimed wine barrels. Like Veladora, the menu changes often throughout the year. But you can expect options similar to Brandt Farm Beef Sliders – bacon, crispy onion, béarnaise, and “the sauce,” and Crispy Skin Salmon – a trio of quinoa, asparagus, and hollandaise. 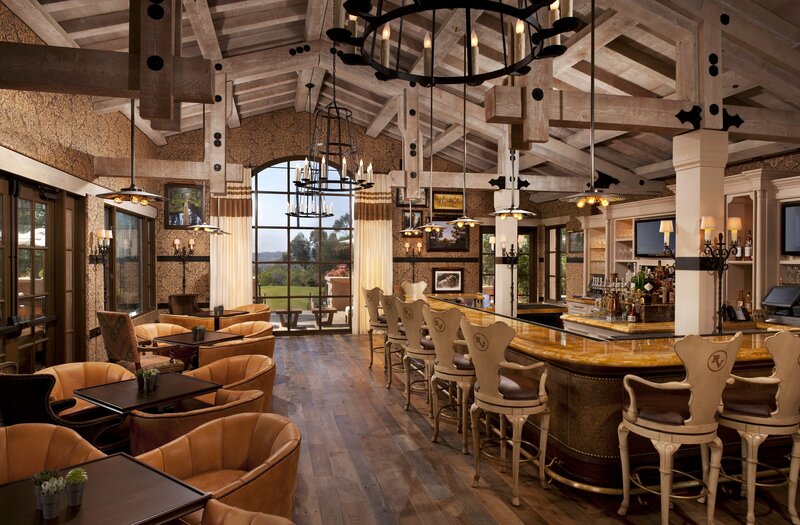 As notable as the food, The Pony Room is known for its incredible selection of local craft beers, an impressive selection of hand-crafted and high-end wines, 100 tequila variations, and one-of-a-kind signature cocktails. While this isn’t a restaurant, the Wine Cave is a beautiful dining space designed for private intimate dinners or quaint formal receptions. 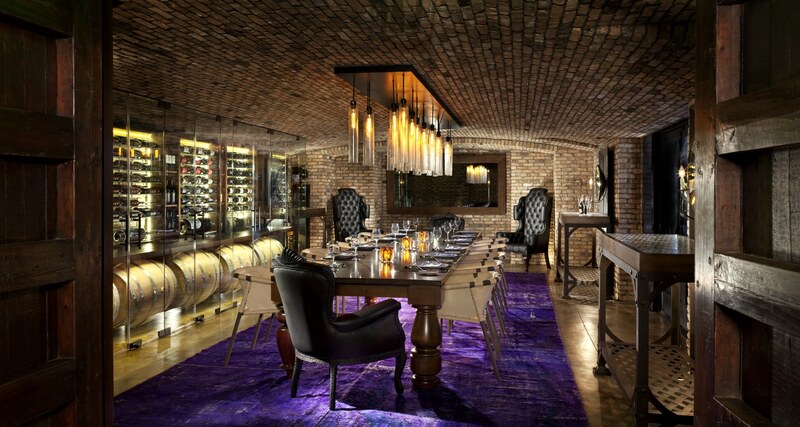 Enclosed in brick and accentuated with glass and leather furnishings and decor, the Cave is home to the hotel’s most rare and valuable wines. Their collection holds full-sized oak barrels housing their own private blends and more than 250 bottles of wine from California, Mexico, Canada, France, Spain, Italy, South Africa, Tasmania, and Turkey. In-Room Dining: You can get room service from Veladora and The Pony Room, plus a special in-room dining menu with select items and signature packages like the Wellness Welcome, which is two cold-pressed juices and two house-made cardamom energy bars. 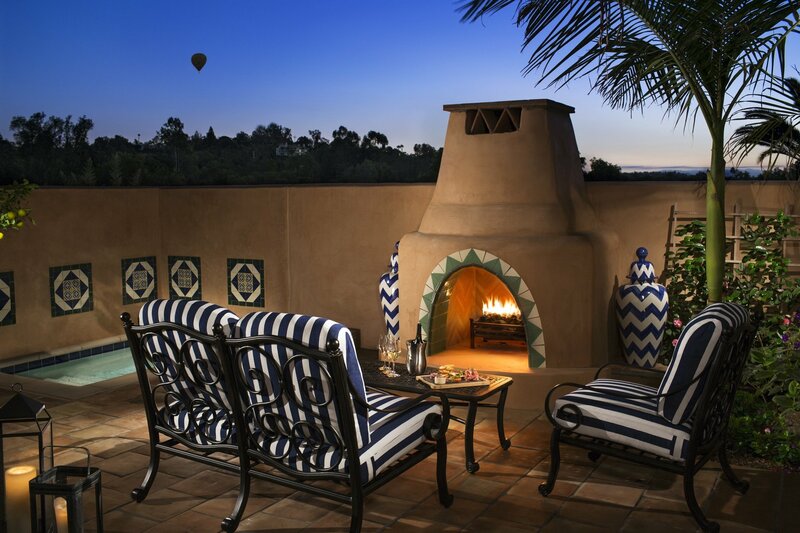 You can immerse yourself in a variety of onsite amenities at Rancho Valencia Resort. Whether you need to burn off some energy in the Pilates studio or The Spin Room, or relax and rejuvenate in the resort’s spa or saline pools, it’s all here. You’ll find a yoga pavilion, a fitness center, tennis courts, world-class golf, and an array of fun family experiences. 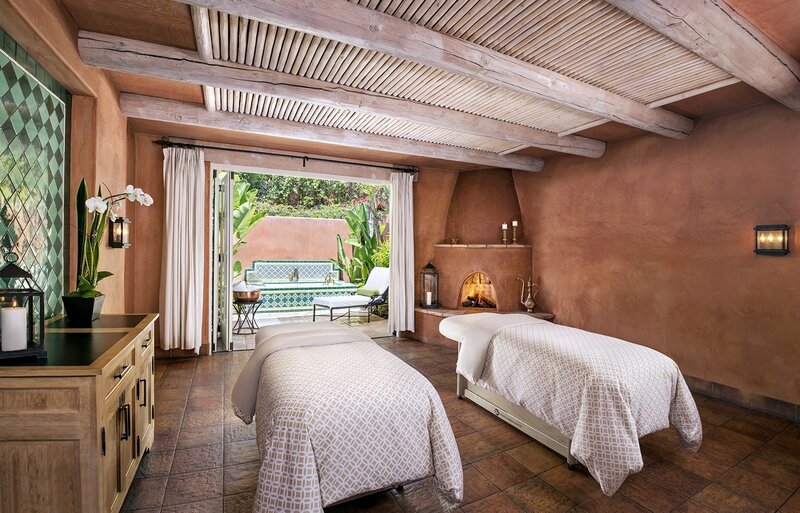 Surrounded by beautiful olive groves and verdant gardens, the Spa at Rancho Valencia is an enchanting escape dedicated to wellness, relaxation, and self-discovery. 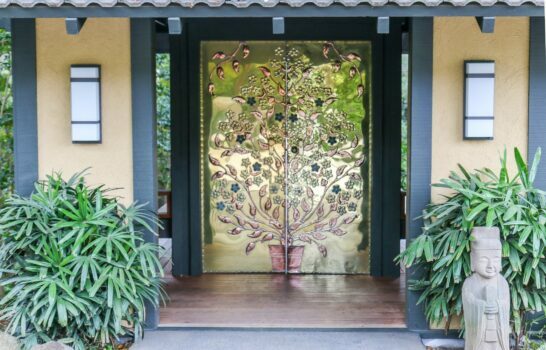 This Forbes Travel Guide 5-Star rated spa utilizes the rejuvenating benefits of the earth’s flowers, herbs, minerals, and oils to create a tempting list of soothing services that revitalize the mind, body, and spirit. Every part of the spa has been meticulously tailored to embody tranquility and wellness from organic freshly made vegetable and fruit juices to fitness sessions led by premier wellness professionals. Spa features include an adults-only pool with a poolside bar and four Jacuzzis, a Pilates studio, yoga pavilion, and fitness center. There is also a hydrotherapy circuit – a mix of steam rooms, saunas, plunge pools, and thermal baths. Spa services include facials, waxing, body therapies, elemental wellness treatments, massages, manicures, pedicures, and select packages. When you book a spa treatment, you also get complimentary access to more than 90 fitness classes including spin, TRX, yoga, and Pilates. After each of their fitness classes, you will receive a complimentary green juice or almond butter smoothie. It’s a great way to refuel after working up a sweat. This quaint and cozy Pilates studio offers you seclusion while you attend one of their classes. Simple hardwood floors, exquisite lighting, a mirrored wall, and premier Pilates equipment are the only elements needed in this charming space. Workouts are said to improve flexibility, range of motion, circulation, posture, abdominal strength, and to decrease joint, back, and neck pain. Semi-private, private, and private group classes are available at an additional cost. 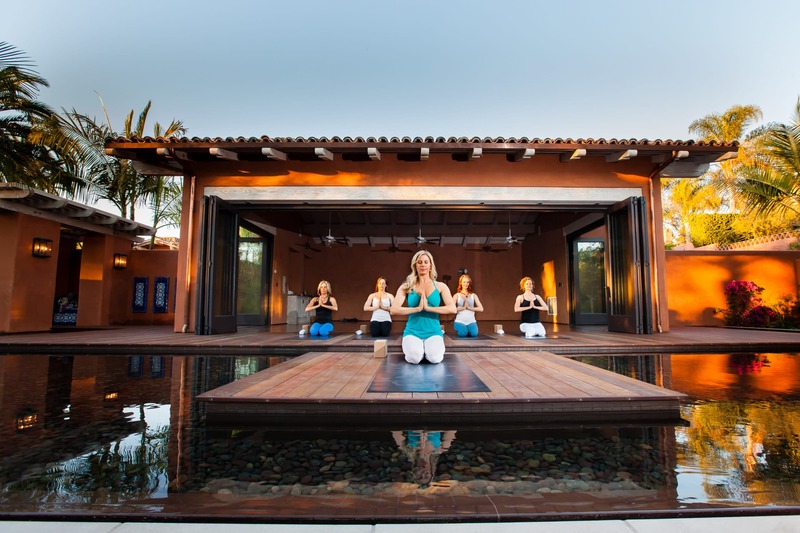 This gorgeous, rustic space features an open-air design with retractable doors overlooking a serene stone pebbled pool and boasting a main stage area for the instructor. All yoga sessions are designed to improve your flexibility, strength, and heath. You can book semi-private, private, and private group classes for an added cost. The fitness center provides a wide selection of elliptical machines, treadmills, weight machines, and free weights for you to use. You can even book a private training session with a professional fitness instructor. 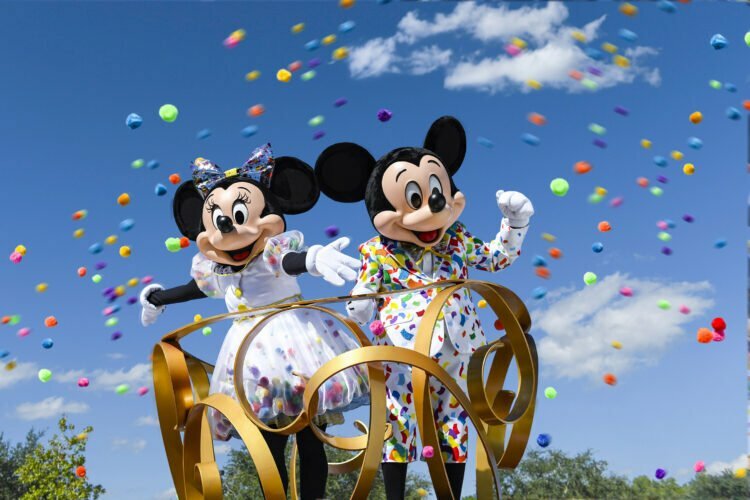 There are complimentary towels provided, as well as mini refrigerators stocked with complimentary water and Gatorade. A peaceful veranda adorned with comfortable furniture sits adjacent to the fitness center, a great place to cool down after a workout. Outfitted with state-of-the-art stationary bicycles, The Spin Room is a bright and airy space that overlooks the spa’s pristine pool and lush greenery providing a sense of peace while you sweat. Classes are designed to elevate your heart rate by combining resistance training with cardiovascular exercise to effectively burn fat and calories. The resort has two saline pools. The main pool is for the whole family, while the spa pool is only for adults. They are both large enough for you to comfortably swim laps, but also tranquil enough to just float or lounge poolside. Their temperatures are maintained at a nice 82 degrees year-round and feature a warm, bubbling Jacuzzi. There are a few fun floatation devices available for kids to use at the main pool. At the spa pool, you can relax in a private cabana for the day. They are first come, first served, so get there early or reserve one in advance. 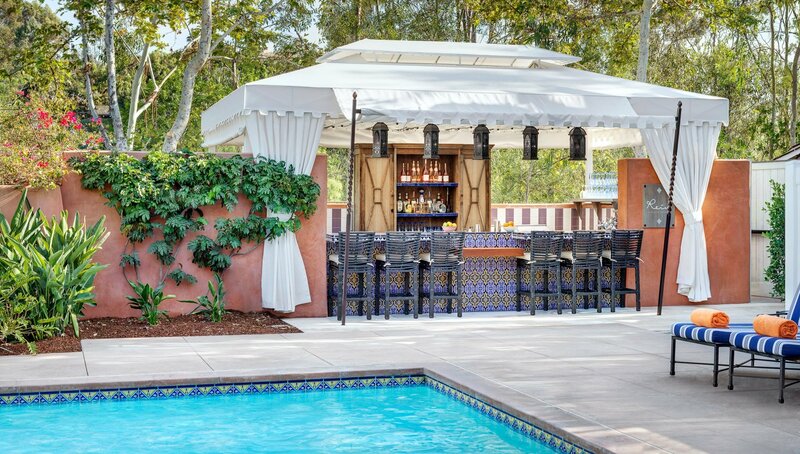 An added bonus to the spa pool is Rein, the poolside bar. Rein serves a variety of signature cocktails, wine, and craft beer, as well as a diverse menu of sunny salads, Panini’s, and tacos. 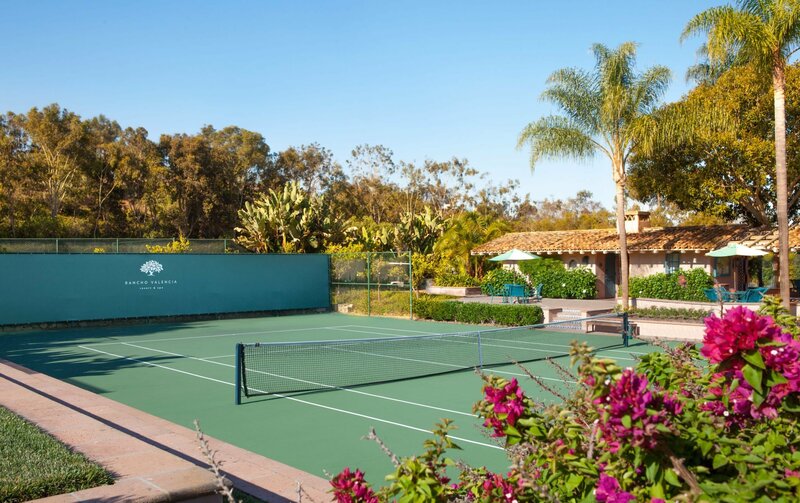 At Rancho Valencia, tennis is more than a simple pastime; it’s a passionate lifestyle. Voted the No. 1 Southern California tennis resort by Tennis Magazine since 2008, this renowned tennis facility offers services for players of all skill levels. 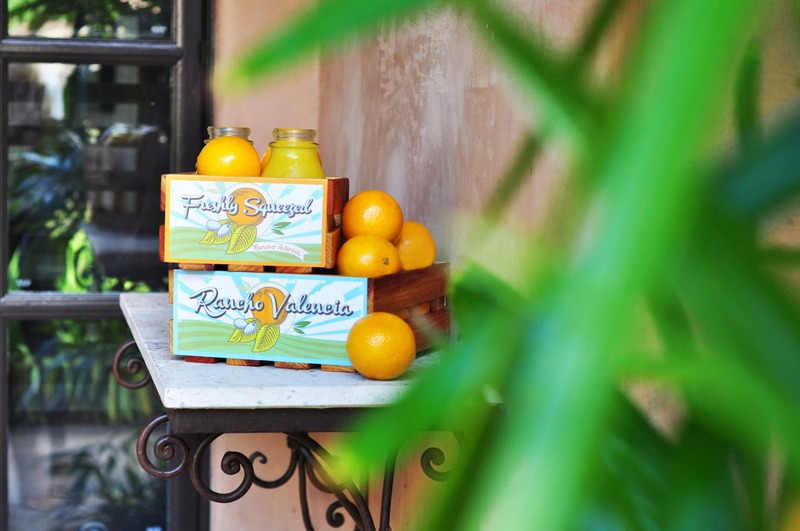 A rustic setting of citrus groves and bougainvilleas creates the perfect backdrop for their 18 tennis courts. Two of the courts feature the European red clay style, while the other 16 are plexi-pave championship courts. Various lessons and personalized programs are offered by experienced USPTR and USPTA tennis professionals. If your child dreams of being the next Serena Williams or Roger Federer, you may want to look into the Five Star Junior Tennis program. These ten-week programs are offered four times throughout the year, and cater to everyone from Little Twinklers (ages 5-6) to Competitive Players (ages 12 and above). Discounted rates are available with a resort tennis membership. They are available for anyone to purchase and include premium courtside amenities, weekly activities, league involvement, and a staff of tennis pros to help you reach your full potential. 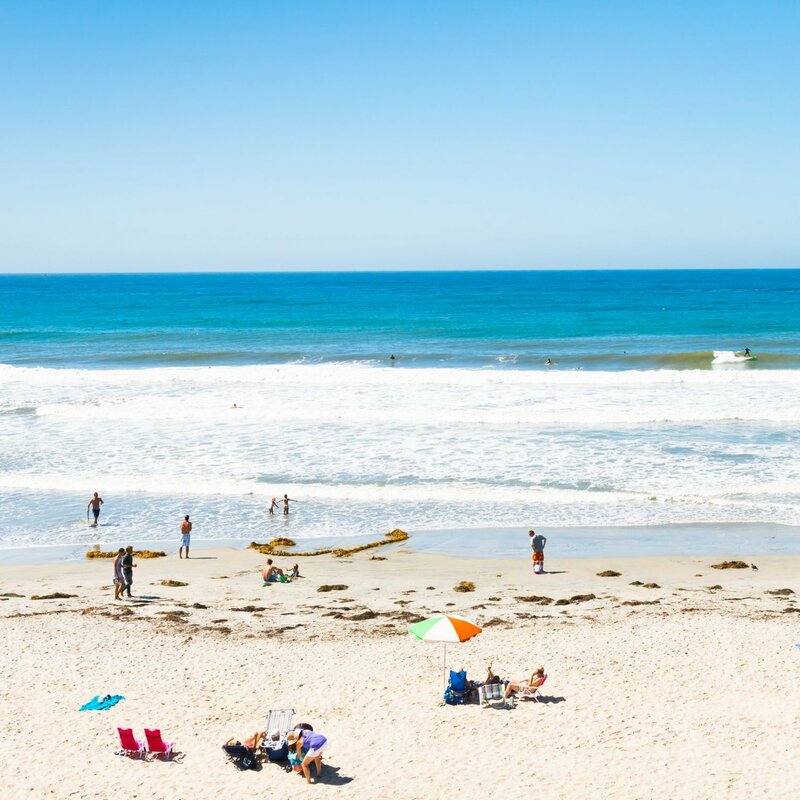 Rancho Valencia gives you access to four world-class San Diego golf courses – the Del Mar Country Club, Torrey Pines Golf Course in La Jolla, Aviara Golf Club in Carlsbad, and The Farms Golf Club in Rancho Santa Fe. The latter is situated just outside the resort gates surrounded by verdant greenery and beautiful estate homes. A par-72 course, The Farms is designed for experienced golfers, as it has narrow fairways, multiple water features, rolling hills, and hollows. The resort provides you with complimentary Callaway Golf clubs and gives you discounted rates at all four courses. While the hotel features a sophisticated and more mature atmosphere, families are not only welcome but are encouraged to stay at Rancho Valencia. 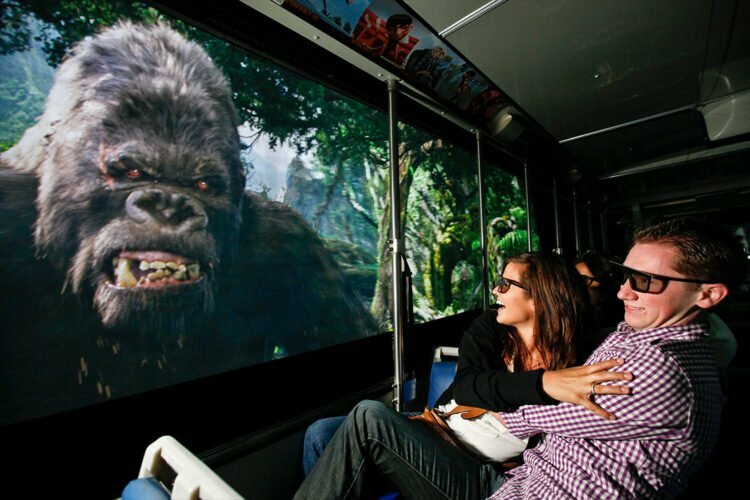 You’ll find a variety of family-friendly outdoor recreation activities that everyone can enjoy. This includes croquet, basketball, ping pong, bocce ball, badminton, tennis, paddleball, swimming, and a variety of board games. Complimentary bike rentals are provided for you to explore nearby trails. 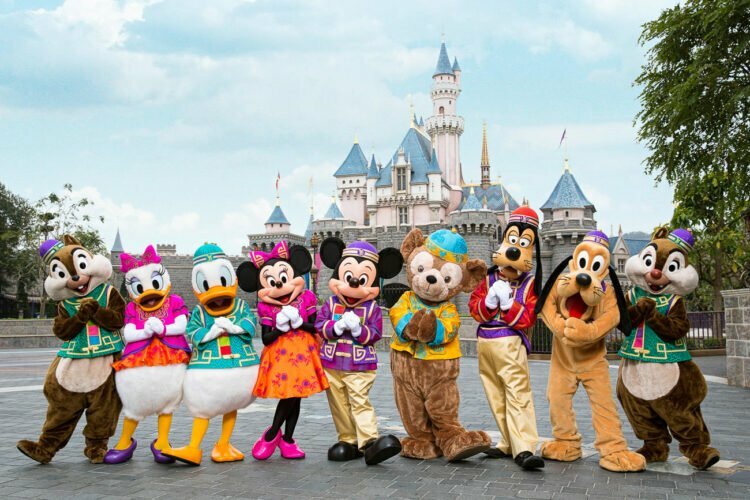 You will also be just a short drive to several kid-friendly attractions such as LEGOLAND California in Carlsbad, San Diego Zoo Safari Park in Escondido, and Birch Aquarium at Scripps in La Jolla. 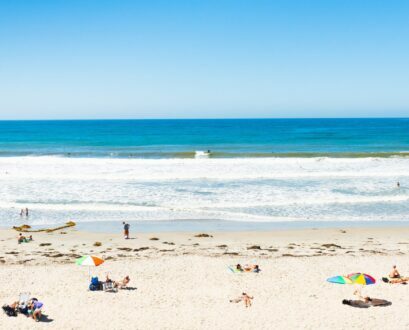 Rancho Santa Fe is an exclusive residential neighborhood nestled between the Pacific Ocean and I-15. To explore the neighborhood, head first to its three villages. 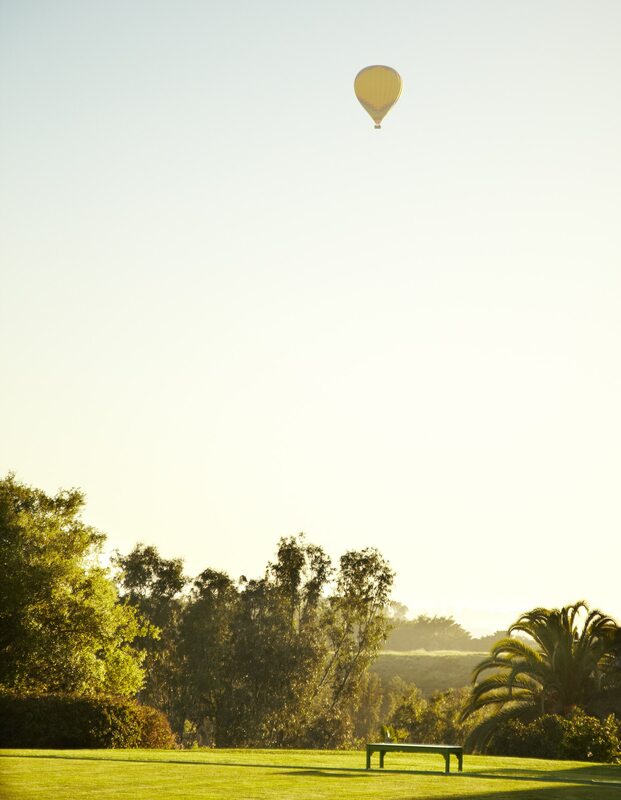 At Village of Rancho Santa Fe you’ll find upscale boutique shopping and popular eateries. Cielo Village is an Italian-inspired shopping area with an Old World ambience, and Del Rayo Village hosts a local farmers market on Sundays. For more practical needs, 4S Ranch Village Center is the closest commercial hub with grocery stores, pharmacies, gas stations, and other essentials. Rancho Santa Fe has 50 acres of public outdoor space crisscrossed with numerous hiking trails, plus neighborhood tennis courts. Black Mountain Open Space Park at the neighborhood’s southern end offers a variety of hiking, biking, and equestrian trails, and epic views from Black Mountain summit. San Elijo Lagoon on the northeastern end is an ecological reserve that includes a nature center with balcony views overlooking the reserve. 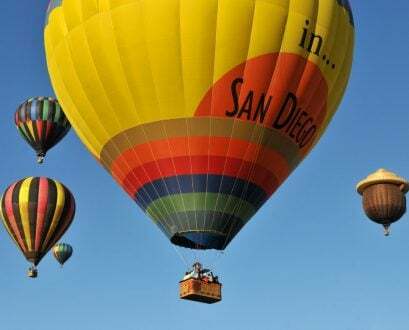 San Dieguito County Park offers families easy walking trails, exercise stations, picnic areas, a basketball court, and Miracle Field – a baseball field designed for players with disabilities. Book directly on Virtuoso.com. If on mobile, scroll to the bottom of the page and click “Full Site” to access rates and booking.